We are looking for someone to work Monday 6.30- 10.30pm, Wednesday 7-11pm, Friday 7-11pm and Sunday 7-11pm evening shifts within a friendly team. There is also the option of doing Saturday Mornings 8am – 12pm. We are working with an extremely successful, well established international company in recruiting for a Quality Administrator. They are proud to have an extremely loyal employee record, which shows what a great company they are to work for. You will be involved in audit administration to maintain the company accreditation's and collating records. The successful Document Controller will be responsible for working with project teams to maintain documentation which are regularly received and issued and be in control of the flow of information at all times. 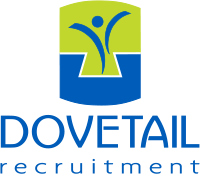 Are you a Receptionist looking for a new Bournemouth based position? We have had a great opportunity become available to us to join a prestigious, well established company in Bournemouth. A great opportunity to join a creative, growing design and manufacturing company in the Christchurch area.